Some ugly ducklings out there may just need a tad more time than others to truly blossom into the beautiful beings that they are supposed to become. Sadly, for these 8 actors, the reverse has happened. Very early on in their careers they took peak, and started out as cute as ever, along with being talented and full of promise, but unfortunately for them, time was not their best friend when it came to their looks. When their careers eventually fell through with their looks, these celebrities suffered a double dose of cruelty. In Hollywood, nothing lasts forever, which has been said over and over again, and the former child actors are all of the proof one would ever need. Normally, child stars don’t come out unscathed when it comes to puberty and too often do we end up hearing about what train wrecks their careers have become. Seriously, knowing the chances of crashing and burning are high, why would any parent push their children into show business? Several of these 8 child actors can add bad choices as an adult to their fateful triangle of despair. Substance abuse, destructive decisions and run ins with the law… check. Dead careers… check. Sorry kids, we really hope that you wound up enjoying your fame, fortune and cuteness while you had it. It doesn’t look like it will be returning anytime soon. Here are 8 child actors who went from cute to puke. This guy right here has been known for being the poster child when it comes to cute child actors who have turned out to be washed up, ugly addicts. Seriously, is this really the same person? 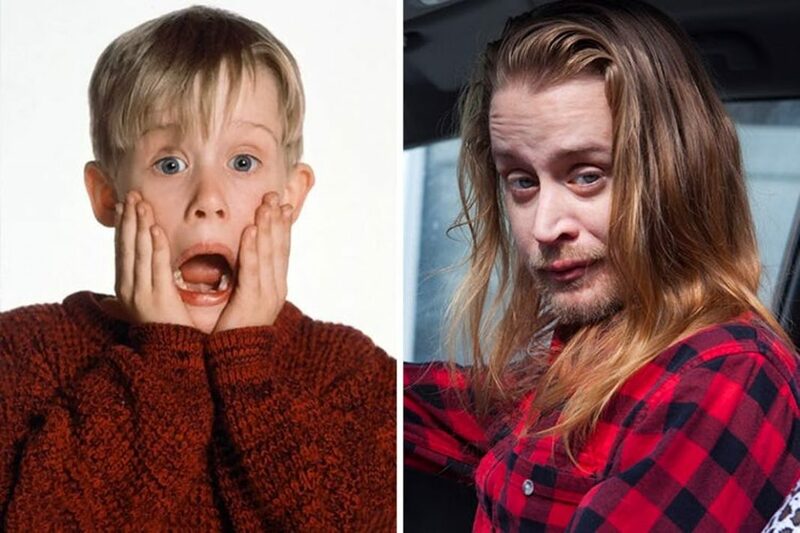 Grown up Macaulay Culkin hardly resembles little Kevin McAllister who everyone has fallen in love with at least once after watching Home Alone. Back in the day he was always known for being such a daring little guy with his quick witted pranks and snarky retorts, now, well… he’s yucky. After Culkin has able to grab a few big roles in films such as Uncle Buck and My Girl, at the age of 14 he retired from acting, and found himself taking a huge interest in drugs and alcohol, which in 2004, eventually led to a bust. While his story is sad, it is also a common one to hear about. He was a child superstar who was controlled by very strict stage parents who ended up developing an appetite for destruction and chaos. Not exactly a real recipe for success right there, is it?